And Your Ability To Generate FREE Business On Google? I Contend That The Answer Is “Yes.” Here’s Why. One of the primary factors Google looks at with respect to ranking your business listing on the map section of their results page is continuity and signal strength. If your business is sending a strong and consistent signal across the web, your listing on Google will be rewarded with higher placement. There are many factors that determine signal strength including your ability to generate multiple citations from both local and vertical (industry specific) websites. Other factors include well thought-out keyword rich anchor text links leading back to your website from local and industry specific sites, but this is an advanced topic for a future article. Some citations (signals) are much more valuable (stronger) than others. For example, if you own a mini-storage facility and you have a citation from your local Chamber of Commerce, that is a powerful citation, or indication of trust. The same is true if you have a citation from your mini-storage association. Citation: A citation is a mention of any combination of your business name, business address and business telephone number on another website. The site does not have to link back to your website to be considered a citation. On the other hand, if you have a citation from an unrelated website in a community hundreds of miles away, it’s still considered a citation, but the signal strength or trust level is weaker. It’s not as valuable as a local citation or a citation from an industry website, but it’s still counted positively. Consistency is another factor that determines your signal strength, and this is where the Yellow Pages can potentially create a hiccup in your signal. Google looks for a business name, business address and a business telephone number on all the sites where your business is listed. If Google sees the same information across multiple websites, it’s a sign of trust. If Google sees a different telephone number associated with your business name, it creates a feeling of mistrust. (Interesting use of the word “feeling” when talking about a search engine, but that’s exactly what happens. There are tens of thousand of local business owners who have been persuaded by the Yellow Pages to use a tracking number with their Yellow Page ad. Having a (telephone) tracking number in print is not the problem. The problem arises when the Yellow Pages shares your business information … along with your tracking number … with hundreds of citation sites including sites they directly control like Yellowpages.com, Superpages.com, Yellowbook.com etc. When these sites pick up your business name and address with a tracking number, it creates a distorted signal. This in turn can cause Google to lose trust and lower your business listing ranking in their map section. Lack of consistency is considered a negative ranking factor. There are many ways to increase your signal consistency, and they all include dropping your tracking number. Let’s start with an example. If you do a search for Coker Septic Inc in Miami, Fl on Yellowpages.com, you will find the following information for their business listing. If you go to their website cokerplumbing.com you will see this information about their business. Notice how everything is identical except for the telephone number. This causes a trust problem with Google. 1. If you have a tracking number with the Yellow Pages, get rid of it. Encourage the people who answer the telephone for you to get in the habit of asking every customer how they found you. Don’t be afraid to be specific. If they found you on Yellowpages.com, ask them. If they found you on Google, ask them. A very busy heating and air conditioning company in St. Louis makes sure that everyone who answers the telephone has immediate access to a note pad listing all the potential ways their customers can contact them. Then they quickly check-off the answer and keep track of the data. Your people can to the same thing. 2. Then, go on the Internet and do a search for the tracking number associated with your business. Go to Yahoo.com and type the telephone number into the search bar. Here are the results for the tracking number for Coker Septic Inc.
3. Finally, you will need to do one of two things. You can either visit each and every website with the tracking number and request that they change your telephone number to your correct local number, or (if you continue to advertise with the Yellow Pages) you can request that they change and promote your actual business number. Once they do that it will take a few months before most of the bad numbers are corrected. You should do this exercise even if you’ve never had an ad with the Yellow Pages. You could be surprised at where and how often your telephone number shows up on the Internet. 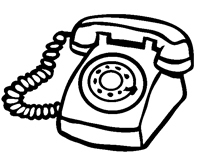 It could be a telephone number was was incorrectly published by someone else or an old telephone number used by another business before the telephone company reassigned the number to you. One of the primary keys to moving your business listing up in the search results is signal strength, and you can improve your signal strength significantly by making sure that your business name, address and telephone number are exactly the same on every website. Once you get your citations (telephone numbers) cleaned up, you will begin see your business listing start to rise on Google Maps. You will also see the same thing start to happen on Yahoo! and Bing. VizOnTheNet now offers one-on-one Local Search Marketing Consulting for business owners who don’t have the time to attend our Boot Camp. The fee is $995 and it includes two half-day sessions. This is a great alternative for business owners who want our complete attention working with them on their Local Search Marketing Campaign. If you’re interested, please contact us here in Hawaii at 808-891-0449.